Hey guess what, Oregon finished with the top recruiting class in the Pac-12 conference. If you’ve been asleep for a month or so, this would be news to you. I doubt you have been so we’ll move along. While our focus is on Oregon here at ScoopDuck, we also do keep an eye out on the rest of the conference. After all, who they sign is who Oregon will end up playing at some point. With Oregon finishing first, it was a clear win. 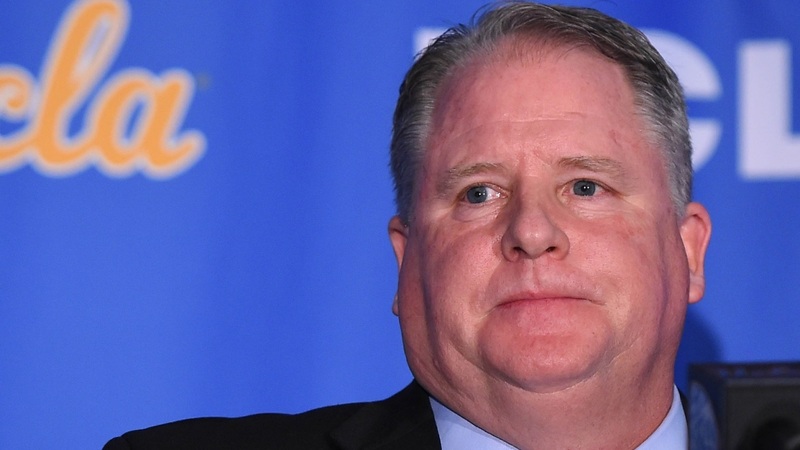 However there were a lot of notables from the rest of the conference including Chip Kelly and UCLA. What more needs to be said? The Ducks filled needs with big-time talent en route to pillaging Southern California and beyond. The Huskies did a really good job on the defensive side of the ball. Offensively it wasn’t as good but they did reload on the offensive line. This was probably one of the best classes Petersen has signed at Washington to date in my opinion. The Trojans were fortunate to finish here and not at No. 4. A lot of this class was put together on quantity not quality, inflating the ranking a bit. Kyle Ford is a big addition but watching Bru McCoy leave had to hurt along with losing Chris Steele and others. Nothing to see here, just Stanford putting together another strong class under the radar. Elijah Higgins and Austin Jones are a nice start on offense with Stephon Herron and Josh Pakola coming in on D. I like this class overall better than I like USC’s. Herm Edwards did a really nice job putting this class together. Headlined by QB Jayden Daniels and defensive end Stephon Wright, Edwards really put together a strong group on both sides of the ball. I’m a little concerned with the O-line recruiting but we’ll see how those pan out. Cal is really starting to resemble what made Boise State, Boise State. Recruit some big players and try and find some under the radar athletes. I won’t sell this is a Pac-12 leading class but I do think there are some pieces that keep Cal competitive and trending the right direction. In no way should UCLA ever be this low on the list. It was short on firepower, sizzle and numbers. (18 signees) The Bruins were the real head-scratchers of this cycle and only signed one four-star and one player in the top 400. Mel Tucker took over and immediately went to work on this class. Do I think it’s a great class? No. Is it a pretty good class? Yes. I actually like some of the signees better than UCLA’s class. If you’re Colorado you have to add some firepower and depth, I think they accomplished that here. I think Jordan Wilmore will be a nice steal for them at running back. He’ll also like running behind the 300-plus pounders the Utes signed on the O-line. This class very much has the look of a Kyle Whittingham class. Is Kevin Sumlin really as good of a recruiter as he wants us to think he is? Jalen Curry and Grant Gunnell might be good gets for the Cats but after that there isn’t much sizzle on this list. If ASU continues moving up, Arizona is going to need to figure out a way to catch up. I hate to bet against the Pirate anymore, he just seems to figure out a way to find what he needs to make his team win. I mean it’s hard to get excited about the No. 11 ranked class in the conference, but he wins. I know personally I wasn’t expecting too much from this class. Oregon State really just has so much work to be done because of what the two previous head coaches left in Corvallis. I think Jonathan Smith will continue to hit the transfer portal hard to try and infuse life into this program which is probably a relatively smart idea for now.